Made from the bark of the Lokta bush, this handmade origami paper provides stiffness and durability for any origami folding project. The face of each sheet features a design of blue flowers against a pink paper while the reverse remains the solid pink color. Made from the bark of the Lokta bush, this handmade origami paper provides stiffness and durability for any project. Since Lokta paper contains long fibers, it is great for wet origami folding techniques. 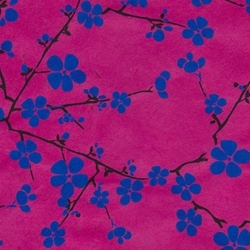 Each pack features blue flowers on pink paper with the reverse side as solid pink. Choose from 2 sizes: 6" with 12 sheets per pack or 9" with 6 sheets per pack. 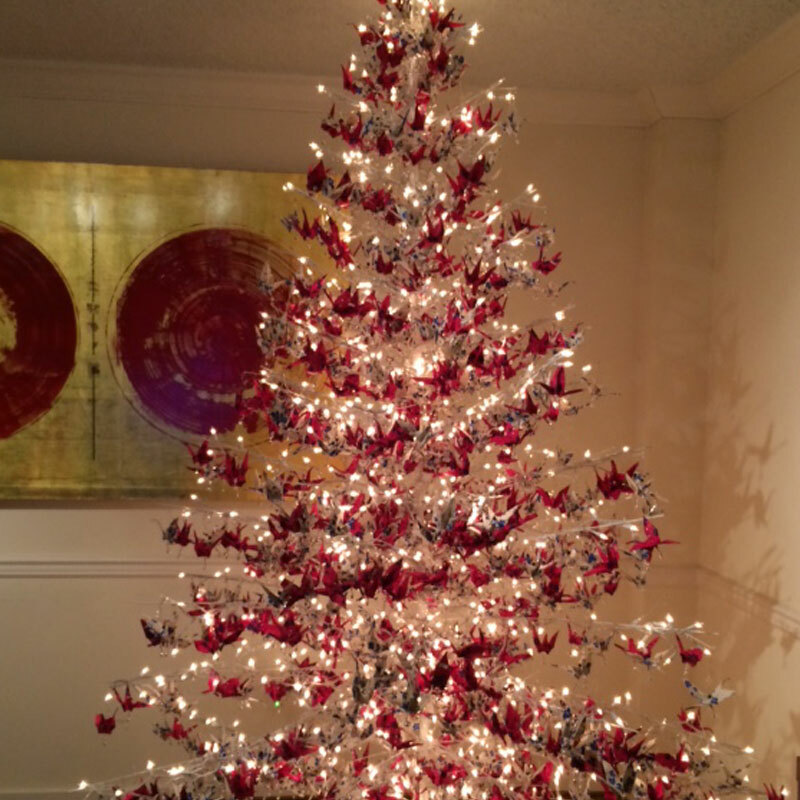 Jill created a special gift for her sister by folding 1000 origami cranes and then arranging them on this lighted tree. She used Screenprinted Nepalese Lokta papers as her medium of choice.